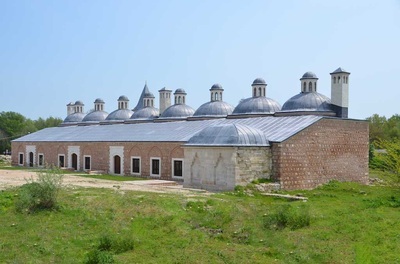 Covering the area of approximately, 300-355.000 m2 and located in Edirne’s centre, the building of Edirne Palace was begun in the period of Ottoman Sultan Murat II. After the death of Sultan, it was left half finished. But then, it was completed by Fatih Sultan Mehmet, The Great Conqueror in 1475. During the reign of Sultan Suleiman, the Magnificent, Sultan Ahmet I, Avci Mehmet, Ahmed II and Ahmed III, that fabulous palace was renovated again and again. Also many different structures were added here. 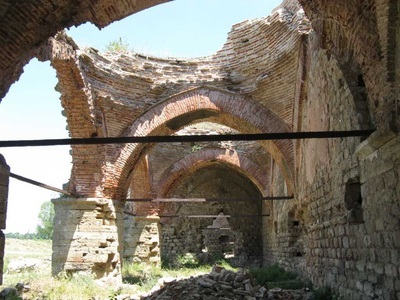 For example that; period of Sultan Suleiman, the topographt of this location was regulated and the problems about the water was solved. Great Architect Sinan advanced a new method to prevent any spates by making a connecting route with the palace and Tunca River. Additionally, many other structures were established such as Alay Pavilion, Iftar Pavilion, Av Pavilion, Nightingale (Bülbül in Turkish) and Bostancı Khediev by the order of Sultan Mehmet IV while Imadiye Pavilion was only built in the time of Murad IV here. Afterwards it was damaged due to Big Earthquake in 1752 and a fire in 1776. Therefore, the some sections of this fascinating palace were rebuilt in 1827, the time of Sultan Mahmud II. When Russian Wars (1876-77), there was happened a big eruption by the order of Vali Cemil Pasha in the arsenal part of the palace in order to prevent those weapons’ taking by the enemies. As a result of that, many masterpieces such as Cihannuma Khediev, Turkish Baths and Palace’s kitchen were demolished here. But today it is tried to be rebuilt by the new regulated projects. Once upon a time there were approximately 15,000 people living here, which show us that palace is very crowded and rich. 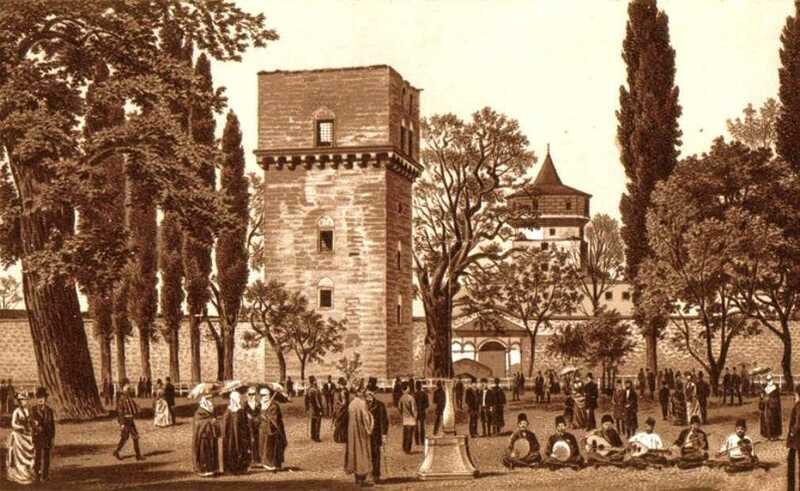 Brought by Yavuz Sultan Selim, the grand empire Edirne from Istanbul, the relics (holy goods) were kept in the palace. Being very special palace with its Harem, Treasure Room, splendid squares and charming Has Bahçe (Garden), that breath-taking structure also fascinates the visitors its glorious infrastructure: At the past, there was found two kinds of water channels. They had a perfect mechanism; one was a clean water channel while the other was waste. But they were never mixed up each other. Moreover it used to be include hot water way. Today the magnificent palace is surrogated by Kitchen of Palace, Adalet (Justice) Tower and the ruins of Turkish Baths. Built by Great architect Sinan at the request of Sultan Suleiman, the Magnificent in 1562 reflects the Seljuk Architecture Style. That dreamy khedive made of the stone was used as a meeting location for Divan-I Humayun (Council of Ministers) and High Court. Also there is found a fountain next to it in order to prevent the important speakings in that place by the way of the water’s voice from it. In the first floor, Serbethane was placed, in the second ground included sofa clerks and at the upper storey consisted of a marble saloon where Council Committee gathered. There was found Sultan’s throne and marble pool in the middle of that saloon. They are located next to the palace. Today that special location used as a kitchen of the palace put together charms people. There is a story about them. After the Russian War, the many tiles and kitchen’s oven with tile were sent the different places. In order to find those masterpieces, prof. Dr. Süheyl Unver set off and wandered everywhere. Finally she found the oven with tile which is 4 m in high and she took a picture of it. As soon as she returned Turkey, she made the miniature of that priceless piece. According to a rumour, once upon a time that location was used to be grown up the chickens. Therefore it was named as ‘’Chicken’’. That glorious place was worked in many different fields. For example it was used as a plant laboratory: it included many kinds of vegetables such as Akyıldız (Sirius), Morsümbül, Dagsümbülü-Arapotu, Akcebardak, Gülsoganı, Çoban Degnegi, Yaban Soganı, Dügün Cicegi, Andız, Çigdem and Karakafes. Additionally, those plants were produced to be used by Bayezıd Health Complex. Located on the Chicken Forest, that fascinating space was built by Ottoman Sultan Mehmet IV in 1671. 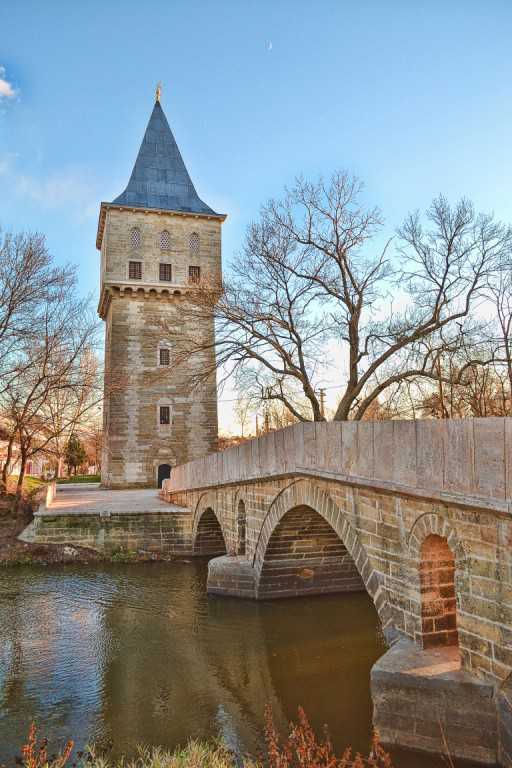 It was renovated by Edirne Municipality in 2002. Today it is seen the ruins of that magnificent structure. 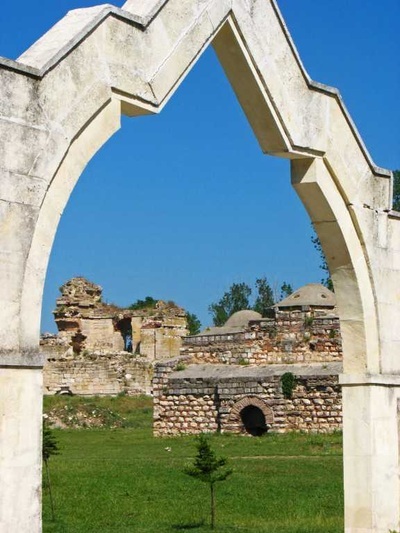 This Khedive is most important masterpieces of Edirne thanks to its splendid architecture. Established between 1450 and 1452 years, Cihannuma Pavilion has seven-storey. At the top floor, it is found an octagonal room. Moreover it consists of Has Oda, Yediler Room, Sancak-I Serif Flat, Kütüphame-I Humayun (Library), Sancak-I Serif Room. For centuries it has been fixed and many stairs were added around it. 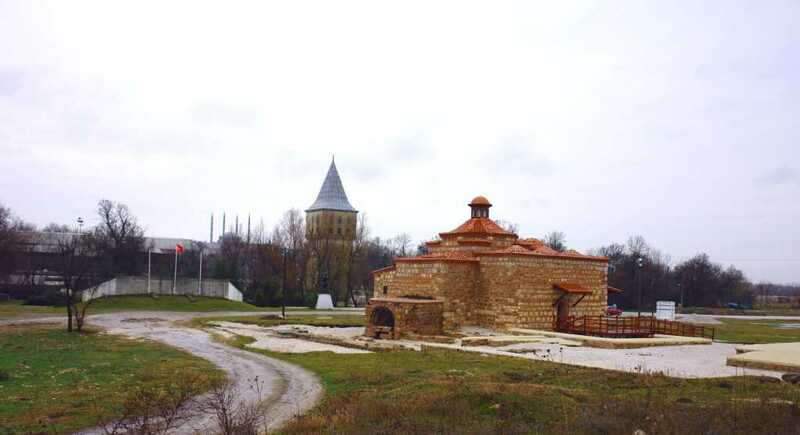 Built in the period of Fatih Sultan Mehmet, that structure contains three domes, navel stone (central massage platform in a turkish bath) coldness and warmness sections. Connected with the palace, this place looks natural and simple.